Whether you are updating existing cabinets, remodeling the kitchen or starting from scratch, there are free kitchen cabinet plans that can be customized to fit your needs. Under cabinet drawers and open pantry shelving units are just some of the great ideas that will make your kitchen more efficient and attractive. Use stains and tough urethane finishes to give your room easy-to-care-for cabinetry at a fraction of the cost of readymade units. 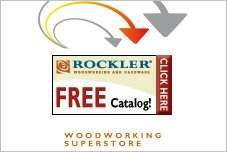 Free kitchen cabinet plans come in many styles and types to suit every home. 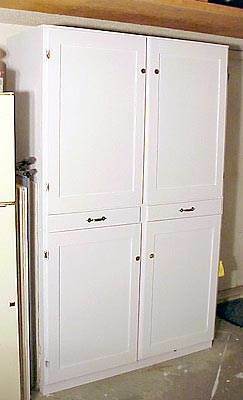 Utilize unused space beneath base cabinets to create pull-out drawers. Add an accent window cabinet door to existing cupboards for a decorator touch. 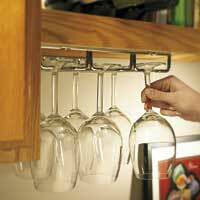 Convert under-used areas to vertical pull out drawers for easy access and better use of wasted space. Reface cabinets with new door fronts for a fresh new look or completely redo a kitchen with eye catching hardwood with designer appeal. This handsome built-in pantry is as tall as the wall it is built into; it has 2 square cabinets at the top and 4 rectangular cabinets below plus open shelving in-between. 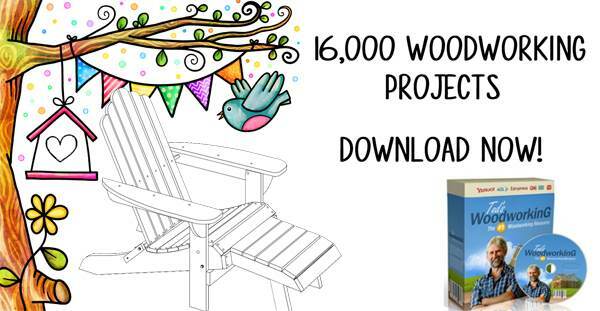 Here is a cabinet plan that has basic woodworking instructions for building a very easy base cabinet. Browse through different cabinet designs such as a 2-door base , toe-kick, frameless wall and more to find what best suits your needs. Here is a video with instructions on installing kitchen cabinets; also included are helpful tips and a list of needed materials. Materials list and cutting diagram for a pantry that sits on the counter. You can easily add additional cabinet space to your kitchen by building a chimney cupboard using these easy to follow instructions. Retail kitchen cabinet organizers can fetch a hefty price, but with these simple plans you can create some for just under $10. Your kitchen will never be unorganized ever again. 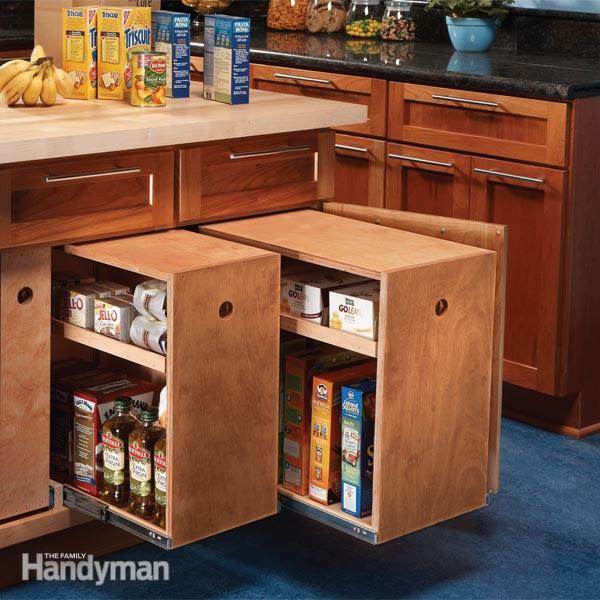 Build these vertical roll out drawers for your kitchen and make use of otherwise empty spaces. Put an end to half empty cabinets with these handy drawers that you build yourself. 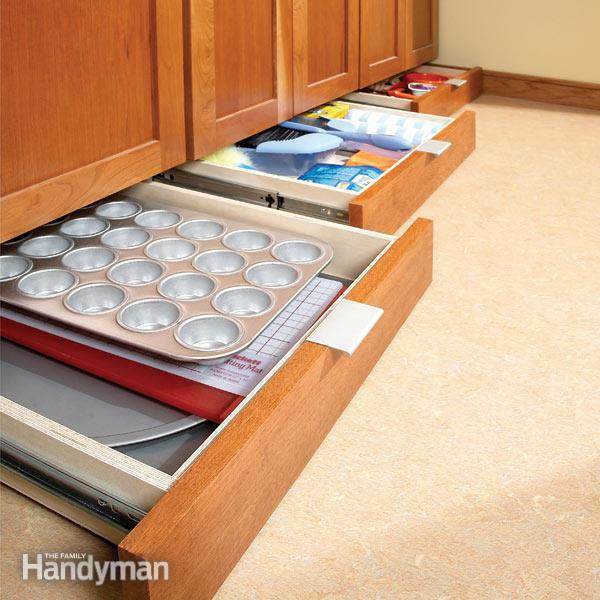 Increase the storage in your kitchen by building these handy drawers that are installed under your lower cabinets. Downloadable plans for a set of L-shaped kitchen cabinets. Here are instructions for making kitchen cabinet doors to help give your kitchen an updated and fresh new look. This plan has step by step instructions on how to install beautiful glass cabinet doors that will make your kitchen shine. 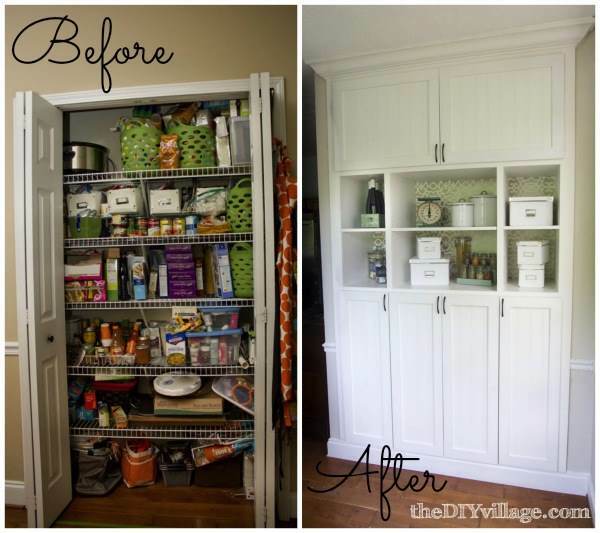 This simple cabinet provides much needed pantry space.